Alex carried out a week’s work experience student at the National Museum of Flight. While on work experience at the National Museum of Flight I learnt lots of information about aircraft. Even though there are many aircraft on display in Museum, I preferred to learn about the airships that are no longer there, specifically the R34 (nicknamed ‘Tiny’), the first airship to travel across the Atlantic from east to west, leaving East Fortune, Scotland, on 2 July 1919 and arriving in Long Island, New York four days later. 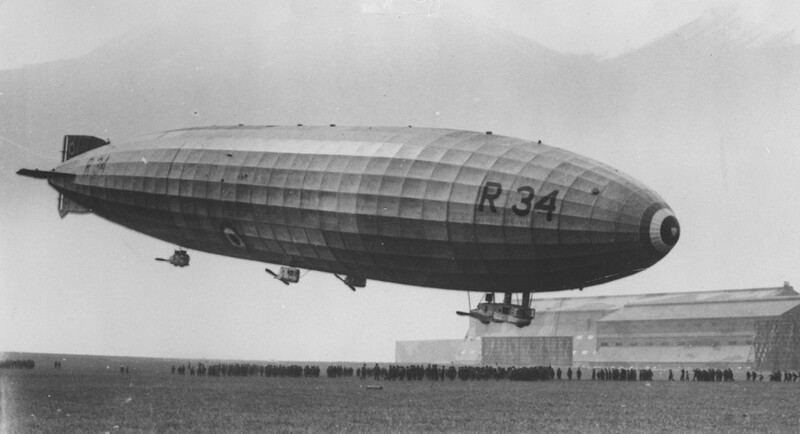 The airship itself had a fixed frame made of aluminium and used hydrogen to stay afloat. The bags they used to hold the hydrogen were made out of 600,000 ox stomachs. 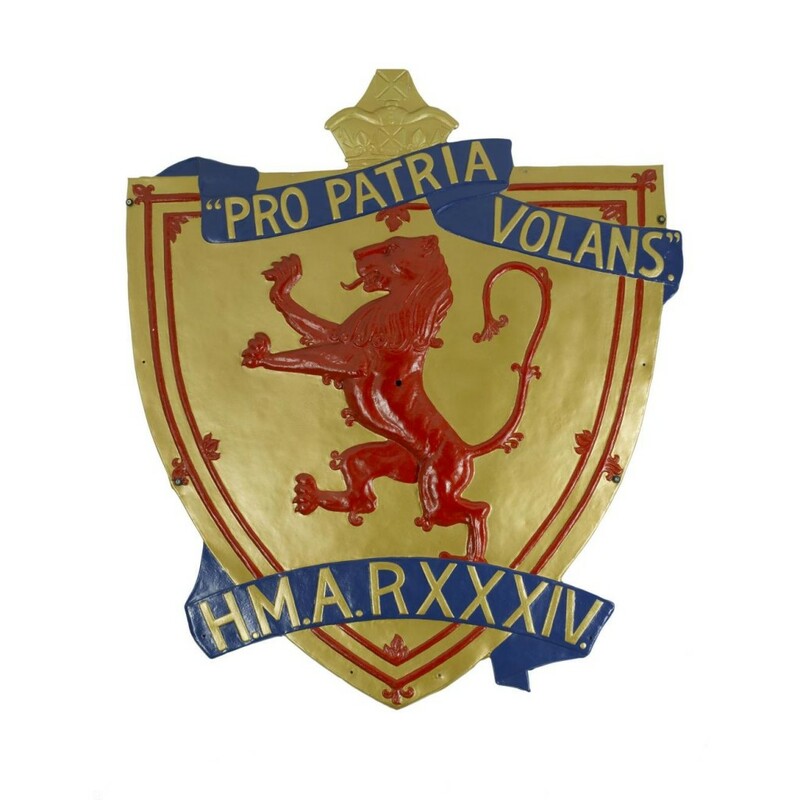 The R34 had a large Scottish shield with a Latin phrase across the front, Pro Patria Volans, which means “flying for the country”. Shield from the front of the R34. 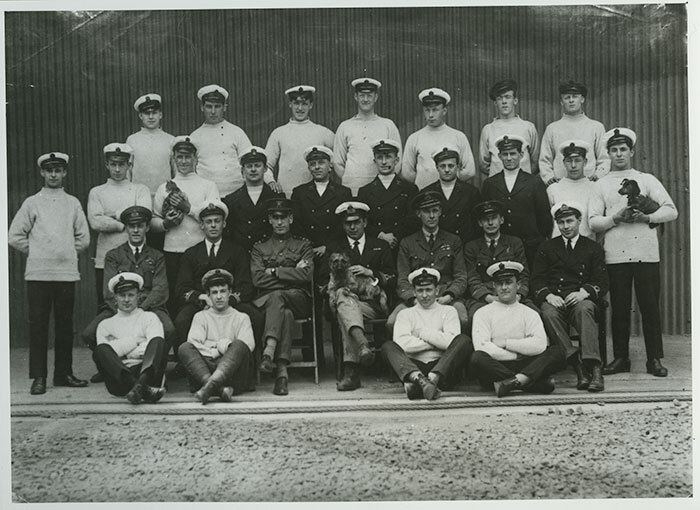 On board the R34 were 22 crew members and two carrier pigeons for sending letter in case of emergencies. While in flight, the crew found a cat called Wopsie that had been smuggled aboard by one of the engineers. Not only that, William Ballantyne, one of the men supposed to stay behind to save weight had somehow hidden himself on board and was forced to peel potatoes for the journey! 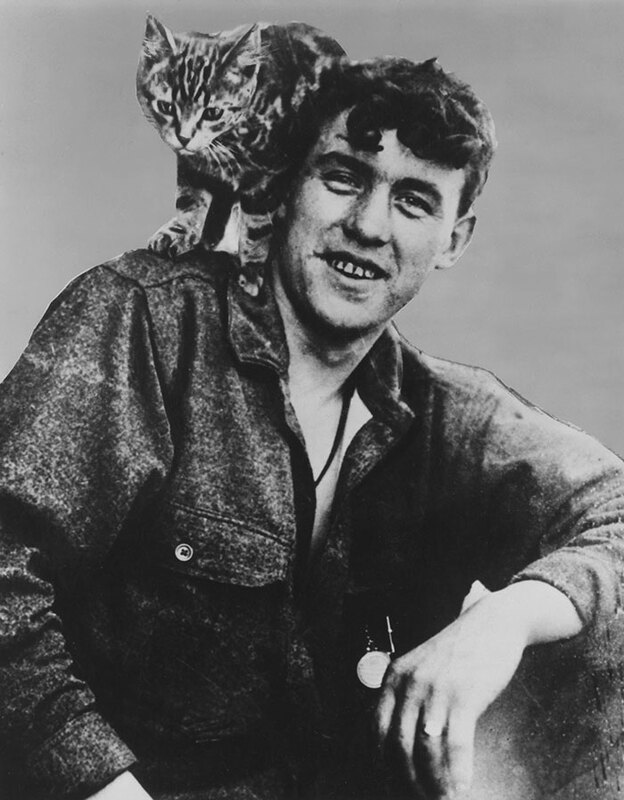 William Ballantyne and Wopsie the cat. On reaching Long Island after four days of flying, the airship had very little fuel left and the ground crew were not very experienced with airships so one of the crew parachuted to the ground to oversee landing operations. There is a monument to R34 at East Fortune and also in Long Island, where it landed. The crew of the R34 for its trans-Atlantic flight. Before going on my work experience week I had no knowledge of R34. Now that I know about the airship I have found that it is one of my favourite exhibits. Even though it is not there physically, its legacy is, and that is why I like it. It is one of the biggest and most fragile aircraft I have ever heard of and yet it still managed to cross the Atlantic Ocean.